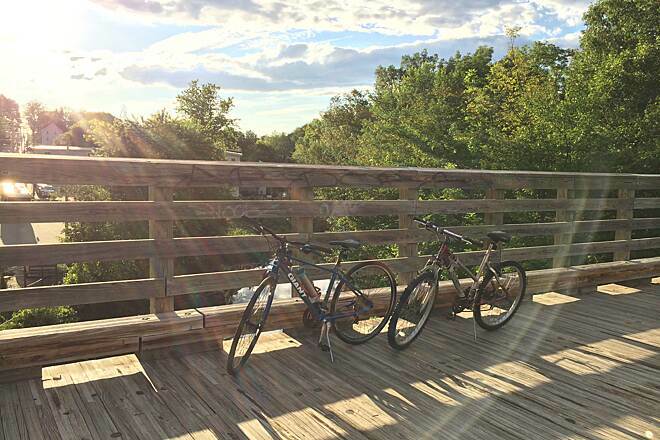 The Assabet River Rail Trail connects five old mill towns that owe their revitalization to present-day high-tech industries. 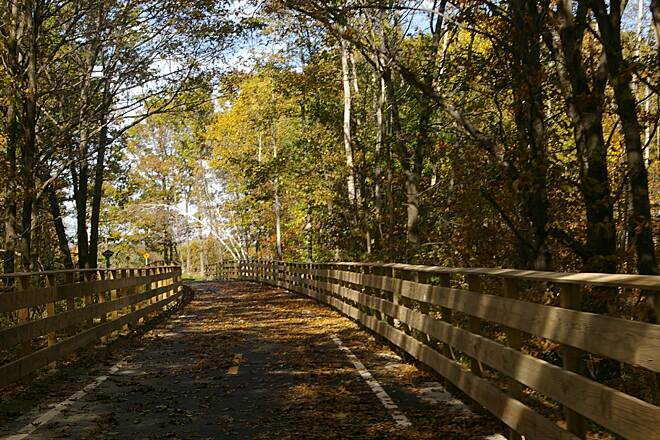 A midpoint gap splits the 8.6-mile paved trail, though long-range plans call for a 12.5-mile trail from Acton; through Maynard, Stow, and Hudson; to Marlborough. 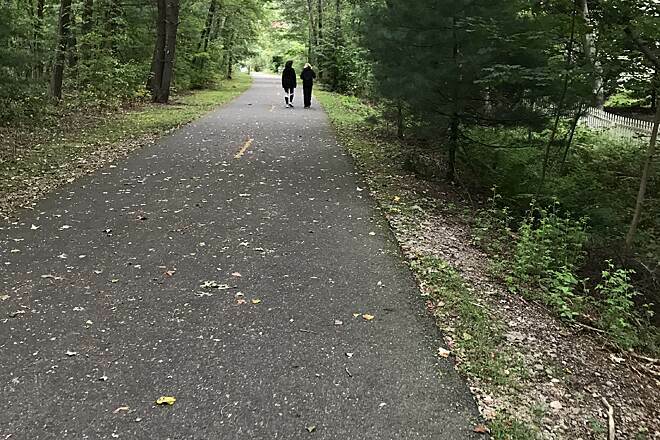 It offers a forested escape for recreation and a route for Boston-bound bike commuters to reach the train station in South Acton. 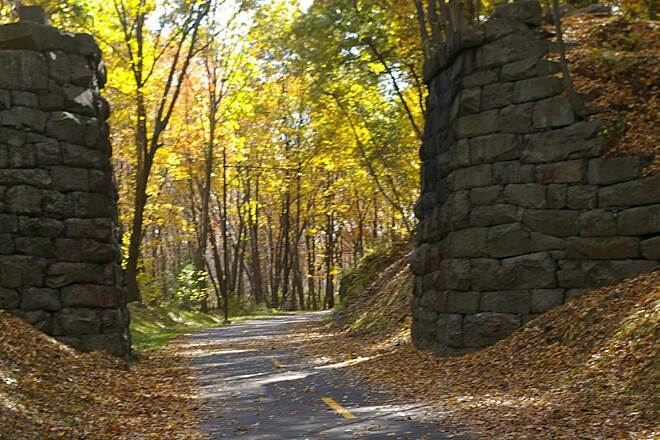 Trail plans date to 1992, when local residents eyed the former railbed of the Marlborough Branch Railroad as a rail-trail project. 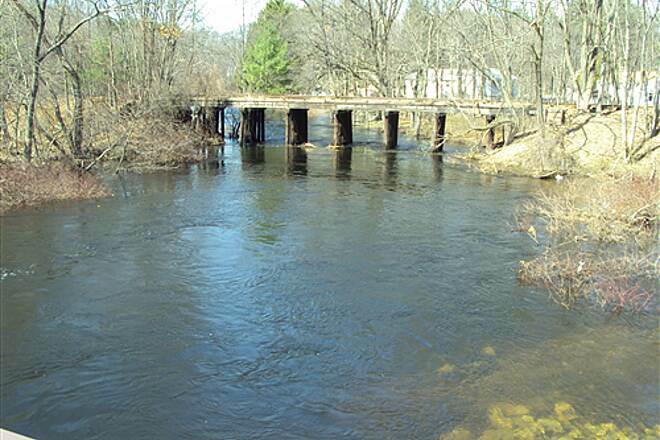 The branch ran from a junction with the main line Fitchburg Railroad in Acton southward along the Assabet River beginning in 1849, extending to Marlborough by 1855. The Fitchburg Railroad subsequently merged with Boston and Maine Railroad. Passenger service ended in 1958; freight ended in the 1960s. 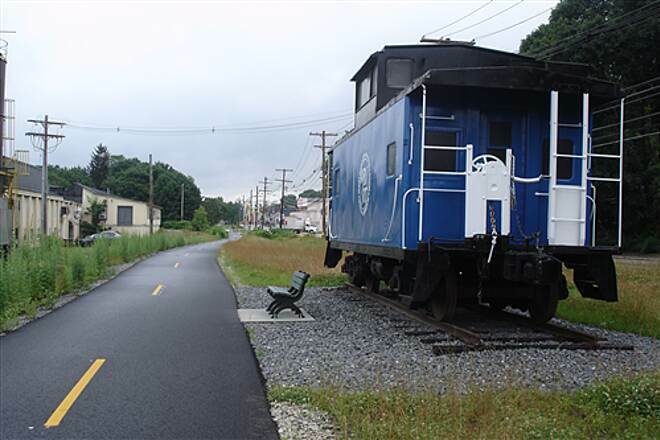 All five towns along the route voted in support of the rail-trail in 1998, and the first section opened in 2005. 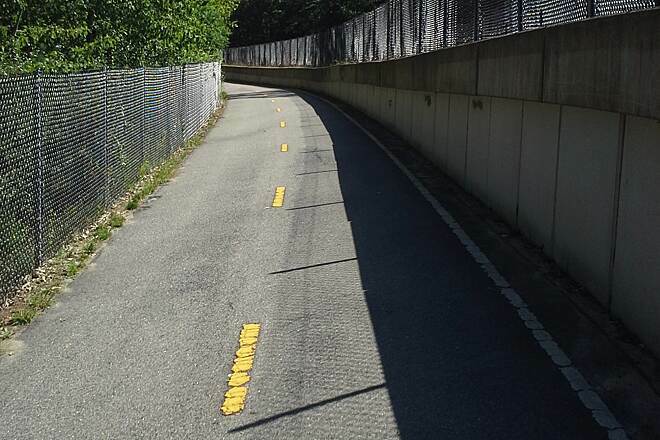 The newest section of paved trail starts opposite the tracks of the Massachusetts Bay Transportation Authority’s (MBTA) South Acton Station; passengers can take bicycles on the Fitchburg line on Saturdays, Sundays, and off-peak hours during the week. Dedicated trail parking is available on Maple Street. 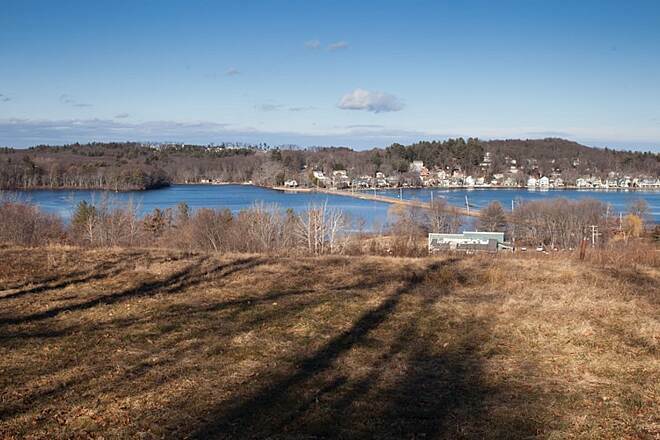 Starting in Acton, you’ll pass the only farm along the trail on the right, and then cross the Fort Pond Brook, which attracted mills here beginning in the early 1700s. 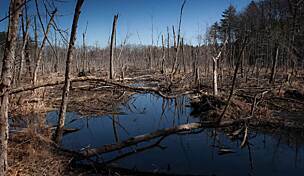 The trail enters wetlands before arriving in Maynard and traveling through its busy downtown. 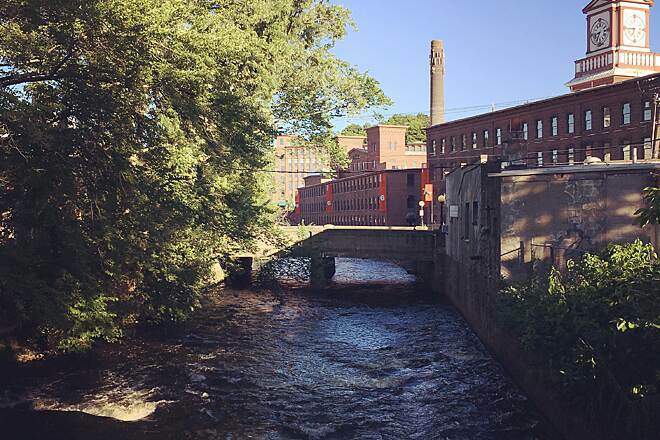 You’ll cross the Assabet River here on a bridge installed in 2017 and get good views of renovated 19th-century mill buildings. 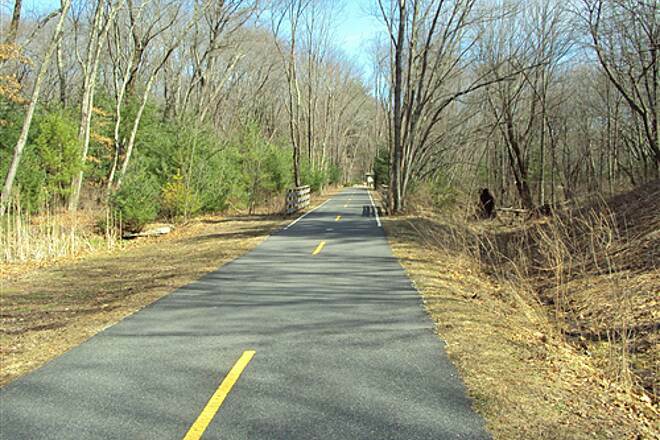 The paved rail-trail ends at White Pond Road at mile 3.2. 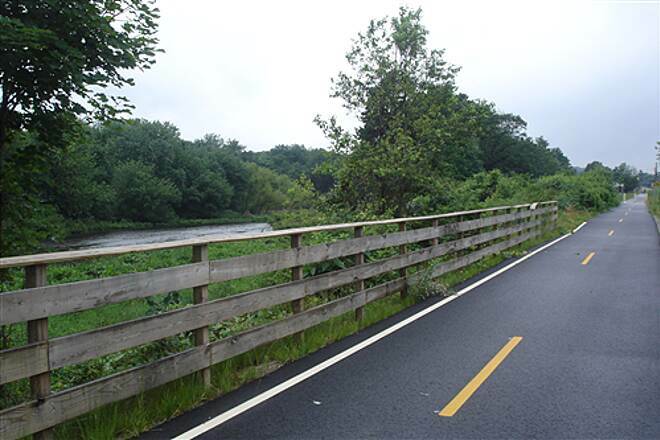 For the next 1.9 miles the railroad corridor passes through the 2,230-acre Assabet River National Wildlife Refuge on Track Road, a public access dirt road that’s more suitable for mountain bikes. 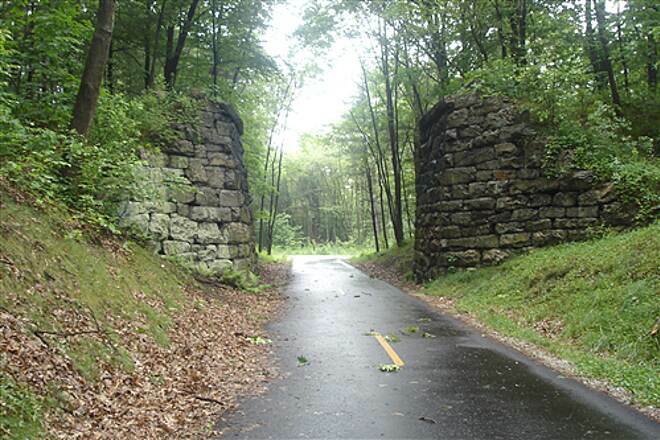 The next 2 miles of corridor, between Sudbury Road and the trailhead on MA 62/Wilkins Street in Hudson, is closed, as it crosses private land. 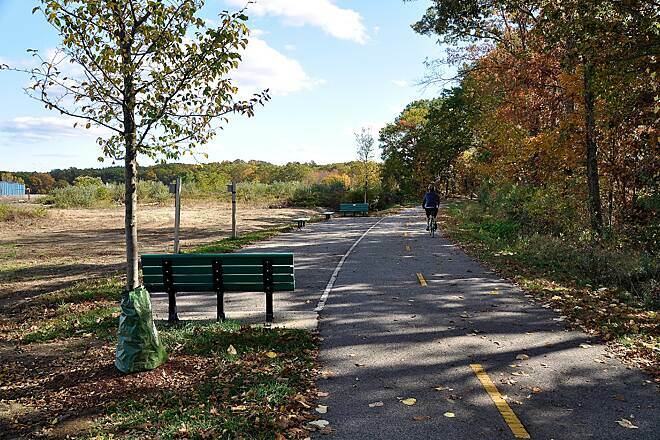 You’ll regain the older section of rail-trail at the MA 62 trailhead, roughly where a future section of the Mass Central Rail Trail will cross on its 23-mile route from Berlin to Waltham. 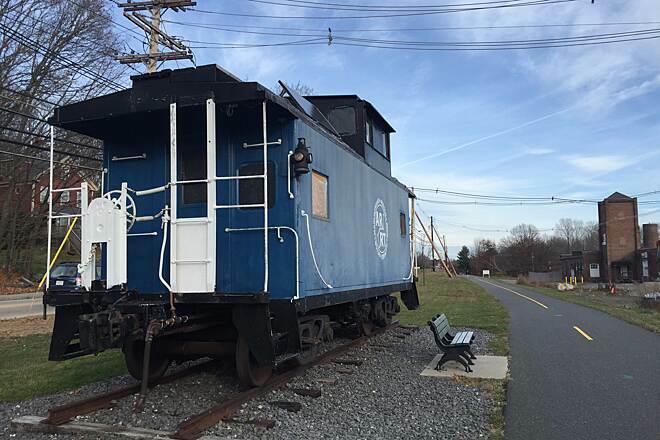 You’ll get a good look at the Assabet River as you cross a small bridge alongside MA 62/Main Street, then you’ll see a restored 1921 Boston and Maine Railroad blue caboose before you enter Hudson’s commercial district. 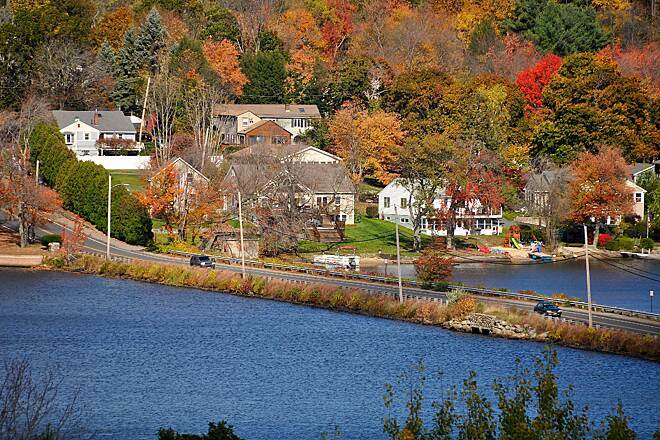 Hudson was once known as Shoe Town for all the shoe-making factories along the river. 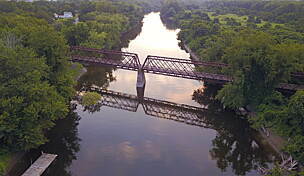 The best view of the river comes about 0.6 mile past the caboose as you cross a trestle 40 feet above the river. Leaving Hudson, the trail again plunges into woods that offer a shady canopy as you begin a gentle climb to Marlborough. 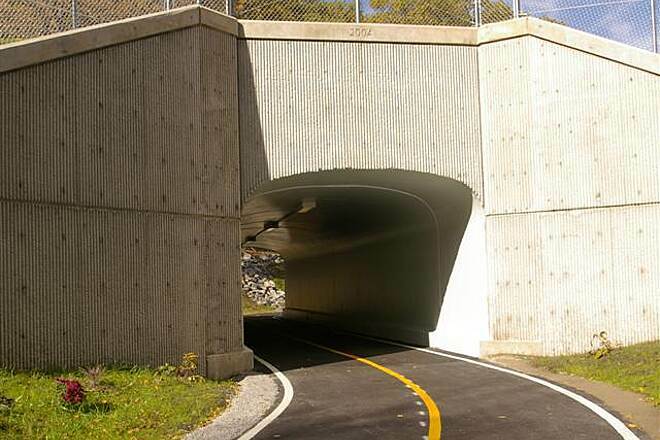 Passing beneath MA 85, you enter Marlborough and cross wetlands around Flagg Brook that serves as a wildlife corridor. You can see the Fort Meadow Reservoir from an overlook with benches. The path continues about another mile, reaching the trail high point at Hudson Street, before ending on Lincoln Street. 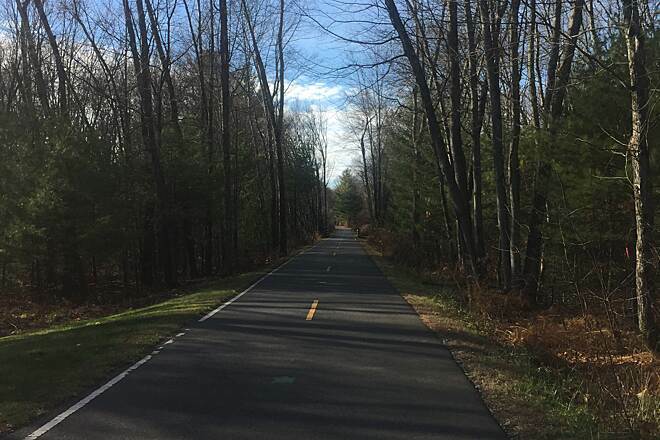 To reach the Acton trailhead from I-495, take Exit 28 to MA 111 W/Massachusetts Ave. Head 3.7 miles west on MA 111/Massachusetts Ave., and turn right onto Central St. Go 1.5 miles and bear right onto MA 27/Main St. Go 0.1 mile and turn right onto Maple St. Trailhead parking is 0.1 mile on the left. 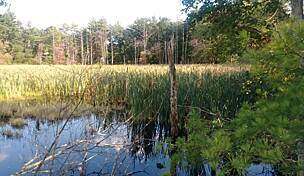 To reach the Ice House Landing trailhead in Maynard from I-495, take Exit 27 to MA 117 W/Main St./Great Road. Head 5.2 miles west on MA 117, and go straight to join MA 62/MA 117/Great Road. Go another 2.2 miles and turn right onto Winter St., then go 0.2 mile and look for the Ice House Landing trailhead on the right. 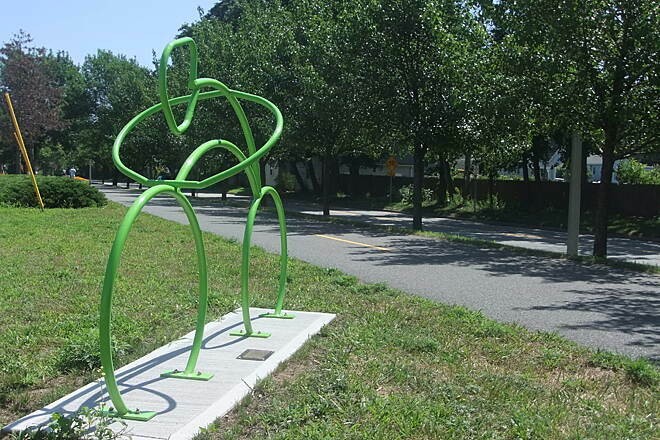 To reach the Hudson trailhead parking from I-495, take Exit 26 toward Hudson on MA 62/Coolidge St. Go 2.0 miles east and take the second exit off the roundabout to follow MA 62/Main St. Go 1.6 miles and turn left onto MA 62/Wilkins St. Look for trailhead parking on the left in 0.3 mile. To reach parking in Marlborough from I-495, take Exit 24A toward US 20 E/Lakeside Ave. Go 0.8 mile east and turn left onto US 20/W. Main St. Go 0.5 mile and turn left onto Winthrop St., then go 0.2 mile and turn right onto Lincoln St. Go 0.1 mile and turn left onto Mechanic St., then go 0.2 mile and turn right onto Hudson St. Look for parking in 0.1 mile on the left just past the trail. The trail ends 0.3 mile to the south. I am an inline speed skater, and just moved to this area. 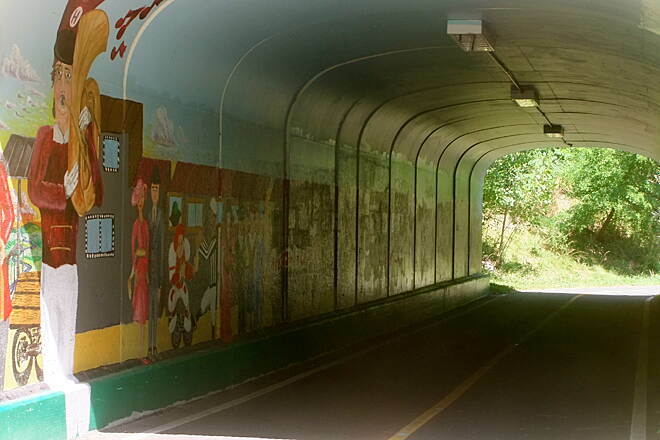 I did practice several times on my speed skates on this trail. The elevation change is about 260 ft from Hudson McDonald's to downtown Marlboro, and there are 4 highway intersections -- these are not very safe for inline speed skating, because there is no brakes on speed skates, and it is sometimes scary when you are skating downhill at over 20 mph and you know there is a highway intersection ahead. However it is still a good trail for beginners and recreation skaters. Smooth paved and fairly easy ride in either direction. Friendly people that often smile and say "hi". We very much enjoyed riding the almost completed northern potion of the the ARRT. Except for a short,maybe, 400 foot section near Summer Street and Rt. 27, the whole length is usable when construction is not occurring. 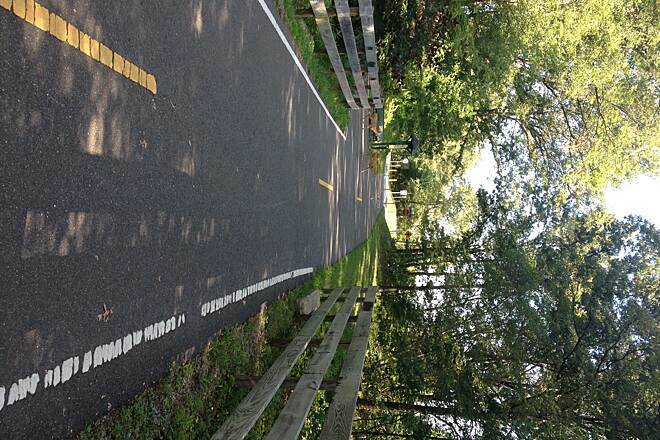 You can add on an additional almost 2 miles from the southern end of this new section and ride on gravel to Sudbury Road near Honey Pot Hill Orchards. As a Hudson resident this is my home course from Hudson to Marlboro and back. 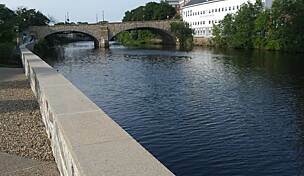 I extend it by riding through downtown Marlborough and picking up route 85, bike friendly width, to Southboro. They are extending the trail to Acton now, with sections paved. 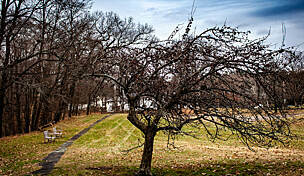 From Hudson trailhead, follow 62 north to Sudbury road, past Honey Pot Orchards. 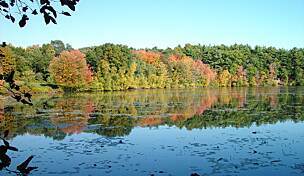 Cross Assabet river and gated dirt rd on left, turns to crushed stone after a mile, and paved at White pond rd crossing to Maynard. Ends on 27 towards Acton, and picks up again down 27 on your left. too many unfinished sections to get any speed going, but will be great when finished. This is not a super long trail but since it is pretty much all up hill going from Hudson to Marlboro, it still gives you a work out. That being said you should start in Hudson so the way back is down hill. 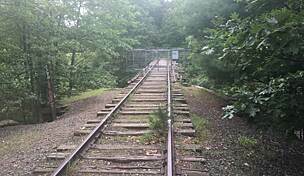 We did not go on the trail that starts in Maynard because it was closed. well maintained and dog friendly! I parked on Sasseville Way in Marlboro and headed toward Hudson with my pooch. We walked only for about a mile and a half, but met nice people, and other dogs as well. It was well marked, clean, and even had a few trash cans along the way! 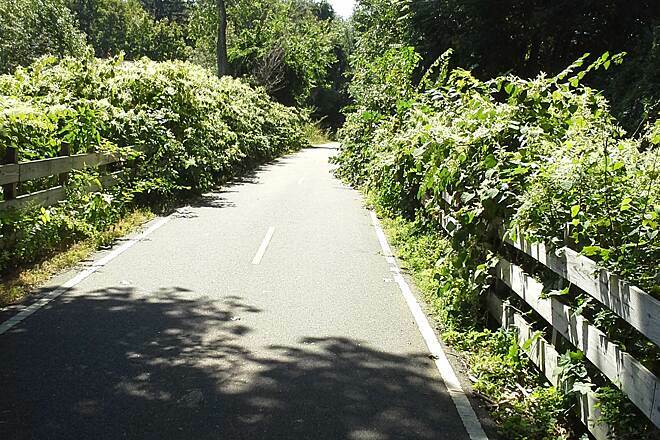 There are road crossings, especially on the Hudson side of the trail, but they are very manageable. The path description doesn't do this path justice. 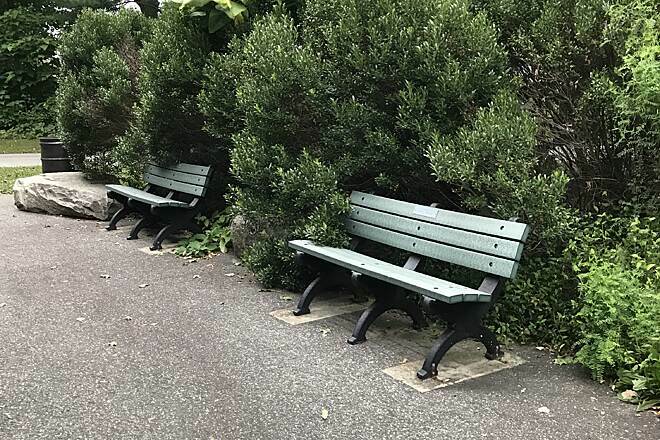 It's a nice ride with frequent benches to take a break. There are hills especially going from Hudson to Marlboro. Enjoy! Nicely maintained trail with good parking at the Hudson trailhead. Not sure why it is called a river trail as any river is difficult to spot. Nice overlook of the reservoir halfway. 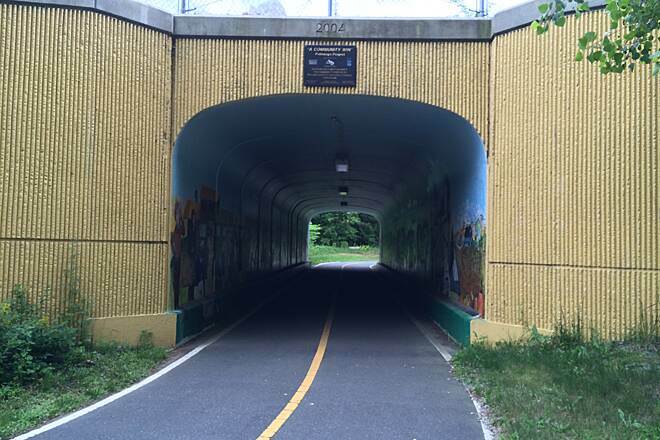 I can't believe I've lived in the 'boros for 16 years now and just got around to riding this trail. 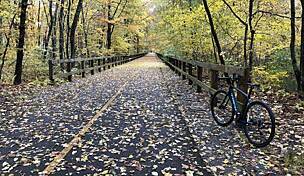 Given the weekend car traffic around here, it's a great way to enjoy the seasons and your bike without having to worry about getting splattered across the highway. 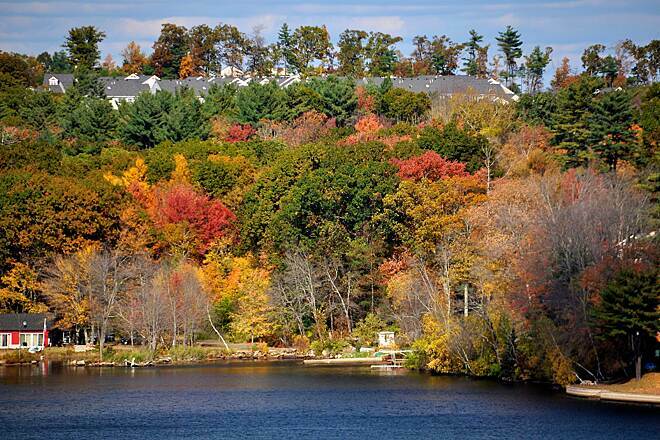 It's gorgeous ride as it meanders through the woods and across the river. 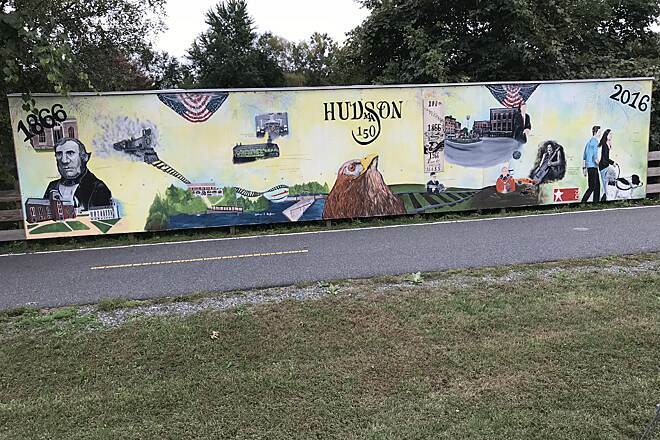 As Hudson has become kind of a hipster hangout these days, that end of the trail was a little congested with young families and fitness walkers. 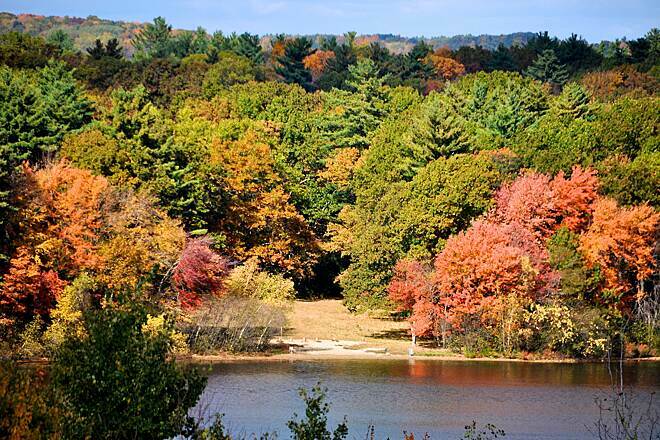 But hey, how could you deny anyone a walk in the woods on a beautiful Autumn afternoon? 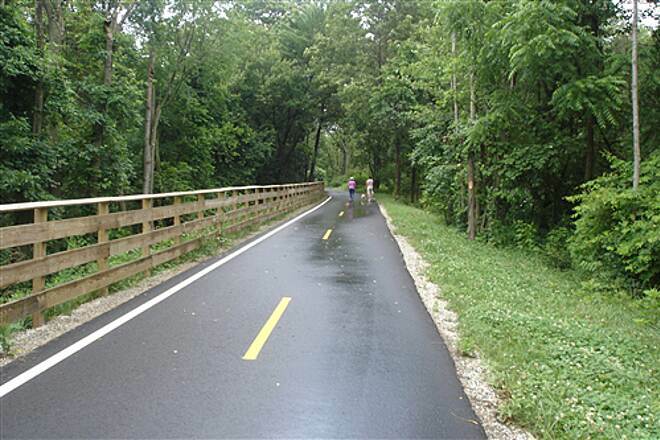 My point is, just don't plan on using the trail for a bicycle time trial in the middle of a nice day; somebody might get hurt and you'll look like an idiot in any event. If you're not in a hurry, the Rail Trail flatbread company in Hudson is a worthwhile stop for a snack and a beer. A bit urban, like riding through people's backyards, but smooth and easy going. No bugs this time of year. While there were several streets to cross on this trail (about 7 minor intersections that could be crossed easily and 5 intersections that required the use of a traffic signal to cross), the trail is nice and wide and very well paved. There are some very pretty stretches through the woods. 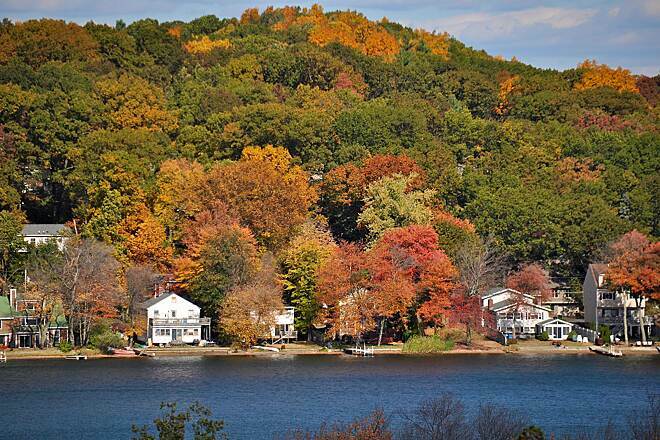 If you start in Hudson, you'll ride uphill most of the way, so the return trip is a breeze! Very nice and relaxing. 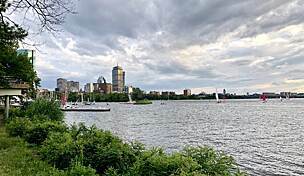 Got their last week using http://bostontransportationgroup.com/ car service while I was on a tour in that area and some fresh air was needed. 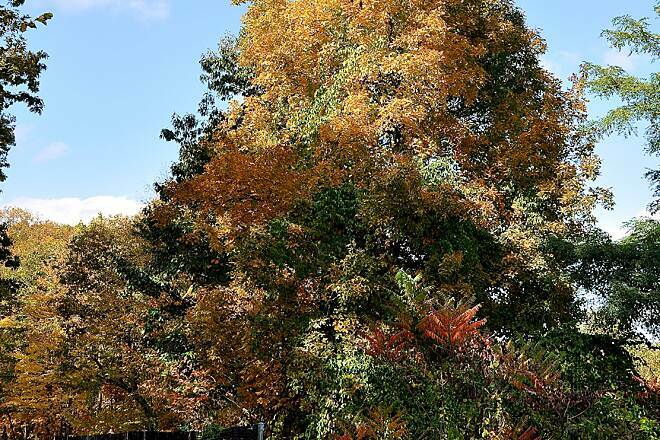 The trees leaves start changing took lots of pics and met really nice people with big smiles on their faces. This is a small trail that i love to bike on. VEry well maintained and good parking spots. Lots of street crossing. Ice cream is available on route. This place is a really great place for a run. 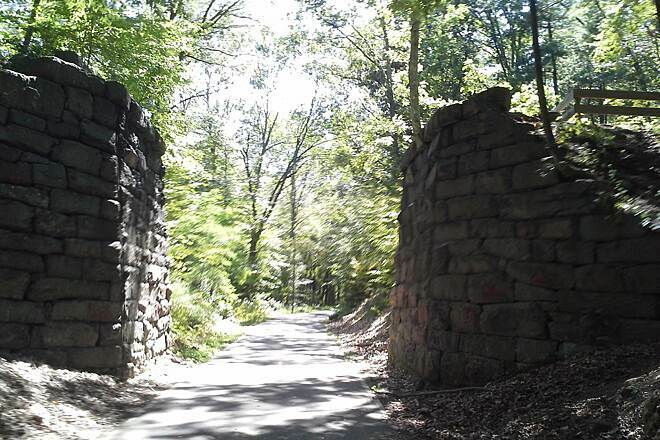 If you park at Jefferson street in marlborough, you can run through the most beautiful parts of the trail. It's well maintained and very safe feeling. Does anyone know if there are any handicap accessible restroom facilities at or near this trail? Next time I am renting or bringing a bike! We walked and/or ran this trail and it was beautiful. I got the great pictures and we started every day we were there with it. I googled the park listed and parked directly across from it in the municipal lot. 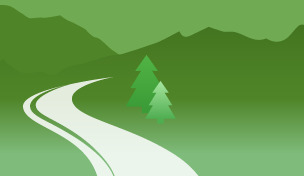 You can link to the trail by going out the lot to the left or the right. The trail itself is clear and well maintained. 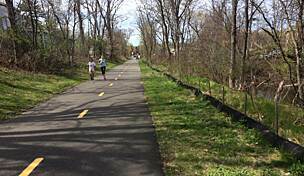 I saw lots of families, walkers, bikers, and runners but the trail was never crowded. The stops at intersections were a little annoying but no real problem and you never have to worry about riding on the road with heavy traffic. All the busy intersections are well marked and have crossing signals. The trail is mostly paved with a tiny section of about 4 yards being a solid wood bridge. The only reason I say this could be a moderate trail is the distance and small hills, as if you start at the lot listed and complete the trail out and back you will go about 10 miles. And on the way out you will have good trail, mostly slight downhill, trail. Which means the way back will be at a slight incline. Not bad at all, there were children under 10 doing it!, but I mention it for a full description. I started around Vila del Porto and rode 2.5 mi towards Marlborough, then turned around went all the way to the trailhead in Hudson, then back to my car for a total of 7.5 mi. So early in spring there were very few people, and there was quite a bit of leaf clutter on the trail. 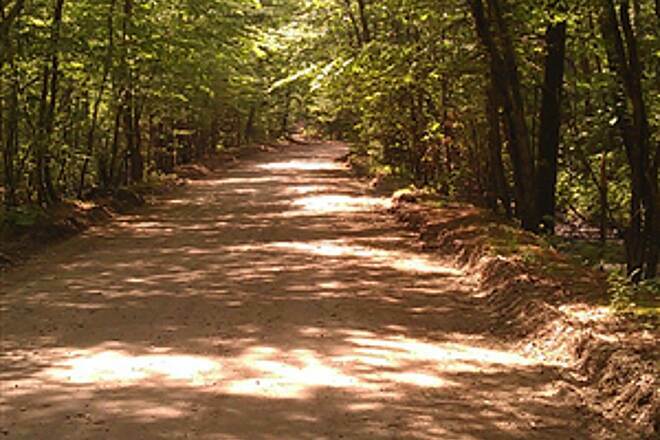 It's nicely paved and goes through lovely treed sections. Be aware that crossing Rt 85 has a crosswalk, but people do speed along that road. Otherwise, crossings typically have pedestrian lights and are well-marked. Be also aware that from Hudson to Marlborough there is a relatively steady grade up. It's mostly a low grade, but your legs will get tired going uphill for so long. 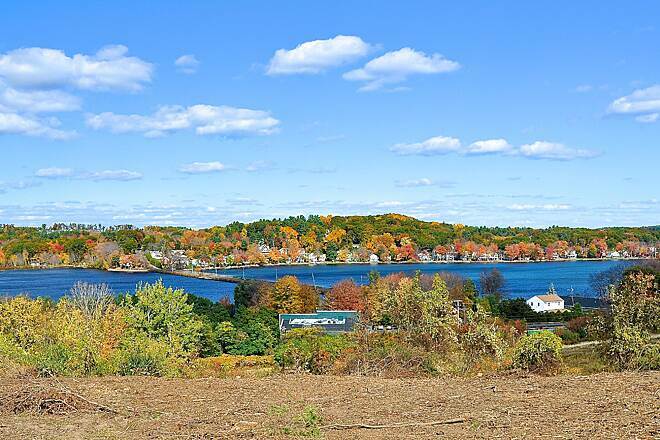 It's why I started in Hudson: so the ride back would be mostly downhill! 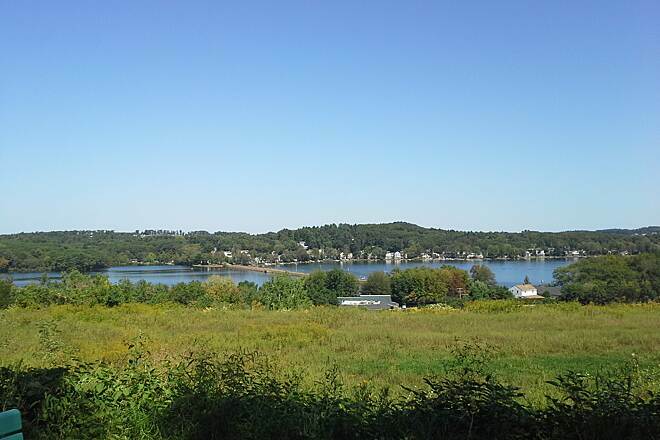 From my home in NE Bolton, I rode the Hudson/Marlboro section both ways and found the 20 mile ride delightful. I will post a picture or 2. Today, noting that the map shows it also in solid red, I set out for the Stow/Maynard part and was very disappointed to find it unpaved at the Sudbury Road entrance. It didn't look very road-bike friendly, so I returned home. A useful improvement to the map would be to have the surface indicated by color, dashed/dotted lines, etc. 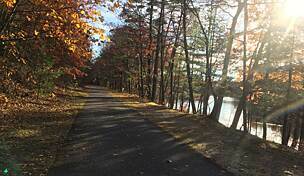 ...which incorporated the two larger currently open sections of the Assabet River Rail Trail (and the Reformatory Branch Rail Trail and the Minuteman Rail Trail). The section of the ARRT between Maynard and Stow is 2.4 miles. 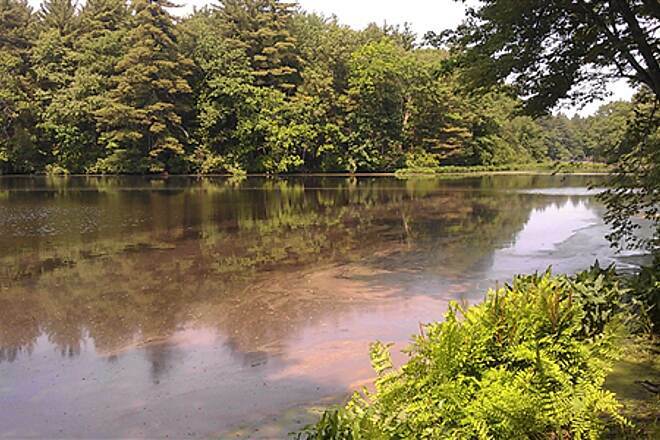 It's part of the Assabet River National Wildlife Refuge, and it offers a few glimpses of the river through the thick foliage and some small open areas that lead to the bank of the river. 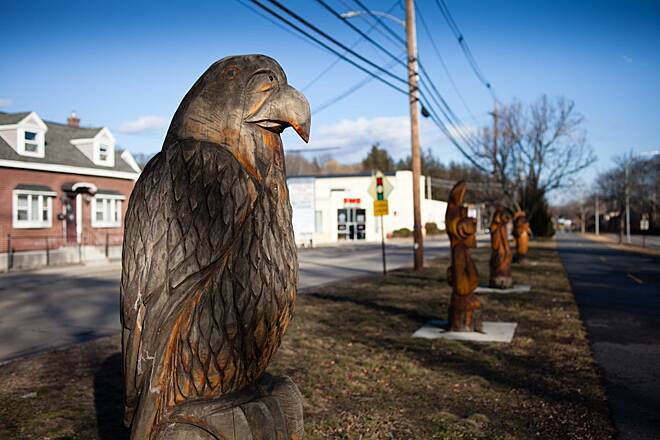 The trailhead is on Winter St. in Maynard, but it is not clearly marked. In fact, it looks like you're going onto someone's dirt driveway for a while. As you get further into the Refuge, the old railbed has been widened and turned into a dirt road. You'll see some cars driving along in this section. After this wider section the railbed narrows again to a one-lane dirt road, and it's in reasonable shape for a hybrid or mountain bike, but there are a few muddy spots, and the path can be a little overgrown. It is very passable, though, to Sudbury Rd. in Stow, where there is a locked gate to keep cars out (although cars can get in from the other side). The railbed continues across Sudbury Rd., but it's well overgrown and didn't seem passable at this time (May 27, 2012), and I think the rails and ties are still in place at some point. From Sudbury Rd. I went on-road to pick up the paved section of the ARRT in Hudson (which people have written about in other posts). 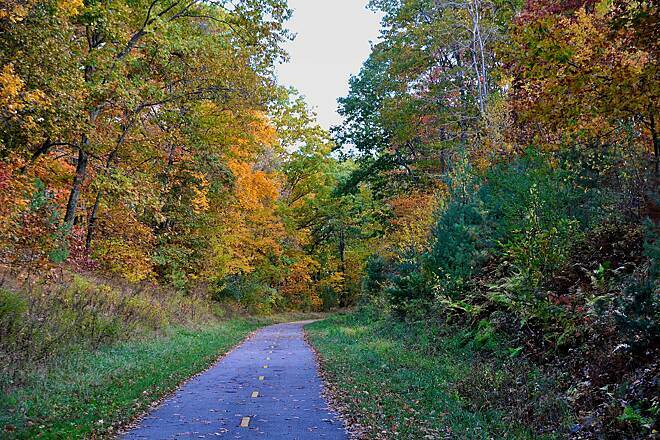 The 5.6 mile length of this trail makes it perfect for a short afternoon ride. Excellent surface of fairly new pavement on the entire trail. Fairly scenic with a few very nice vistas, and rest areas with benches at several points. Just be aware the the trail is downhill all the way from Marlborough to Hudson. I started in Marlborough, and the grade didn't seem that steep as I was heading out. On the the return trip, I realized that even a moderate grade can be pretty demanding when you're climbing it for 5 miles without any level breaks. Maybe next time I'll start in Hudson, and get my work out on the way out, then enjoy the downhill coast on the return trip. Rode the trail on my bike yesterday and it was a nice ride. Parked in Hudsn in the Wilkins St lot and rode it to the end in Marlboro. It was approx 10.5 miles round trip. The trail is well marked and somewhat easy to follow except for 1 intersection when you stop and have to try to figure out which way to go. One section was under repair and had to ride in the street but not for long and you were back on the trail. It's a well kept and clean trail. Would ride it again. 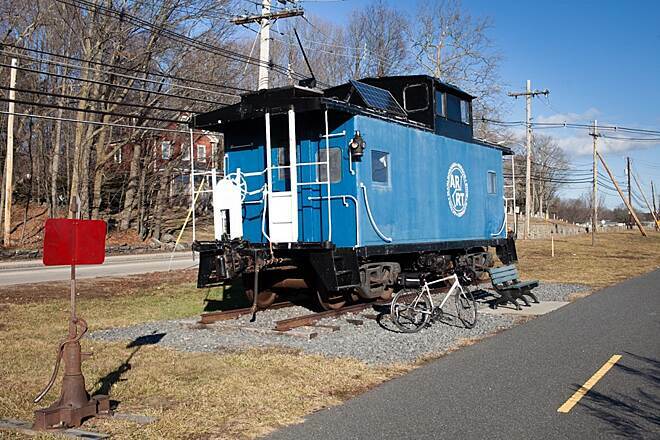 "I've been trying to get to the Assabet River Rail Trail website for several days now and get a error message that the DNS server cannot be found. What's happening?? Rode from Hudson to Marlboro & return. One bridge just about finished and another across the river on Rt.62 they just started the work on. Nice tunnel under Rt.209 and some very nice views. All nicley paved. Will be great when it is finished to Acton.